Backed by professionally qualified technocrats we manufacture and supply quality approved range of GI Ducting. They are specially installed in big manufacturing plants where their are no windows and cross ventilation is also not available and thereby they maintains the cool and comfortable environment across the plant. With the assistance of technically advanced infrastructure facility we are able to maintain strong foothold in the competitive market. 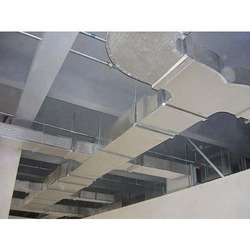 Maintaining quality standards in the industry, we manufacture and supply wide range of Air Conditioning Ducting that is easy to install and executes efficient air cooling and eliminates exhaustive environment with utmost precision. With our remarkable range of products we had become the leading players in the industry. Owing to our strong market connectivity we are bale to deliver entire product range in well defined time frame. 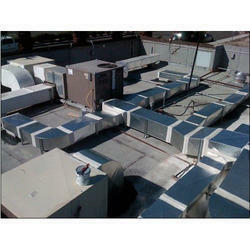 We provide the superior quality Air Duct keeps the dust particle out from the Air condition room. 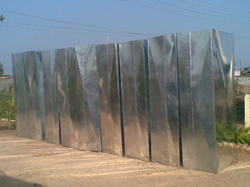 These are precisely designed for air conditioners to filter the absorbed dust particles from the atmosphere. Our experts have designed this product with the help of high tech mechanism to maximize air flow capacity. We provide them in cost effective range and customized design as per the clients’ requirements. 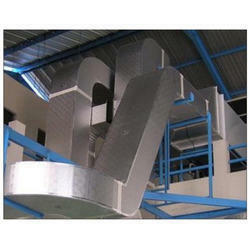 Aluminum ductwork is light and incredibly resistant against corrosion. Its perfect for industrial businesses where moisture is common or its interior is open to outdoor seasonal changes. 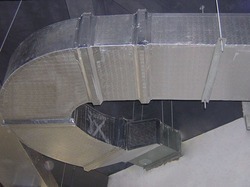 Foam ductwork panels are coated with aluminum to resist moisture and provide a corrosive free system. The coating is dependent upon the application but it can be eighty micrometers to two hundred micrometers for outdoor applications. 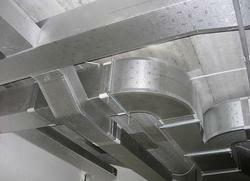 Aluminum ductwork is also insulated or non-insulated from the main duct to the outlet system. Ducts that move air to-and-from a forced air furnace, central air conditioner or heat pump are often big energy wasters. Sealing and insulating ducts can improve the efficiency of your heating and cooling system – and sometimes much more. The greatest heat loss can be in your duct work. They should be inspected to ensure they are sealed sized correctly, and intact. Duct leaks are “invisible leaks that cost a lot of money. We focus first on sealing ducts that run through the attic. After sealing the ducts in those spaces we carefully wrap the ducts in insulation to keep them from getting too hot in the summer or too cold in the winter. Next we seal ducts that you can access in the heated or cooled parts of the house. An undersized or improperly sized duct will affect the efficiency of your air flow. Undersized ducts will cause the unit to struggle to do its job and, during hard weather conditions may end up costing you a lot of money! If you decide that your A/C and/or heat systems are not efficient a free estimate is available for a new energy powered system. We use a 21 point inspection process that includes check ups on all duct-work. We ensure that both the indoor and the outdoor coils are cleaned. We will also inspect the safety of your system’s electrical system. We offer to the customers a superior range of Air Cooling Systems which are high on demand in the market and they are widely used both in the residential as well as industrial areas and these products have been made using a superior range of raw materials. Our products are well known in the market for their high performance and we have priced these products at very reasonable rates in the market. We ensure that these products are supplied to the customers on time as per their requirements. ENVIRO TECH is one of the leading Fresh Air Ductmanufacturers and suppliers in Delhi & NCR. 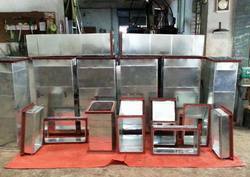 These fresh air ducts for ventilation system are widely used in factories and commercial buildings. 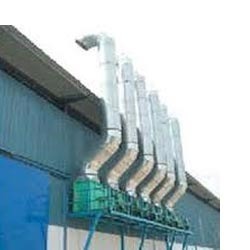 We supply Air-Pollution Control System that includes suction hoods air conveyance ducting blowers & air pollution control equipment like dust collectors bag filters cyclones and scrubbers. With our air pollution control system dust & fume is extracted by hoods & conveyed by ducting and controlled by dust collectors scrubbers and cyclones. A blower is connected with an electric motor that supplies energy. The stack chimney design & height are also incorporated in dispersing and diluting the ambient air. 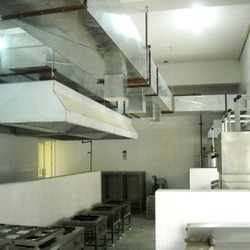 Capitalizing on our in-depth industry expertise we are manufacturing and supplying a comprehensive range of Exhaust Hood With Ducting. We also provide a wide range of Kitchen Equipment that include Catering Tandoor Upright Showcase Cooler Wine Cups Regular Cocktail Shaker and Refrigerated Display Cabinets. Being the leading names in the industry we are into offering a comprehensive range of Air Ducts that are available in varied dimensions and sizes. This Air Ducts is installed in carding and comber machines blowers washing machines and is acclaimed for exceptional fishing and durable standards. These are light in weight and are available with standard lengths. 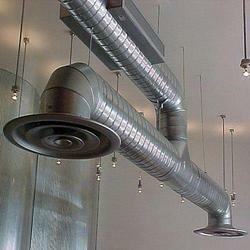 Moreover we offer Air Ducts with customized solutions.